part of the problem was actually because they tried cramming around 10 Light novels in about 2 seasons. This lead to some details being left out… Also the 1st season is more of introducing their characters…. Essentially(I think)…. Its a really long introductory episode XD. 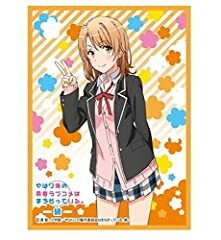 The tropes that it insults are just biproducts of the introduction of these characters… At first, when I watched this anime, I found season 2 as disappointing… I thought that season 1 was better(mostly because that image of Hachiman quickly became my ideal image…. )… a few months later, rewatched it but instead tried delving into it much deeper… OMFG WTH ITS AN EMOTIONAL ROLLERCAOSTER…. I SWEAR I PLACED MYSELF IN HACHIMANS SHOES AND IT STARTED TO HURT SO MUCH AS I REALIZED HOW WE WERE PRACTICALLY DEALING WITH THE SAME THINGS… HIS SEEMINGLY ARROGANT PERSONALITY IS NOTHING MORE THAN A MASK…. THE 1ST SEASON EMPHASIZED HIS ROTTEN NATURE, FOR THE SEASON 2…. This is not the story of how an originally rotten character gets changed over time… No… it was the story about how a guy who was betrayed, insulted, shunned…. In pain, he decided to wear a mask… He built an image of his “ideal” guy… one where he wouldnt get hurt… So he wouldnt expect much, he decided to always imagine the worst case scenario… This is exactly why he was so hurt during the 1st season when he realized that Yukino was not what he pictured her to be… This mask is also the reason why he calls himself the greatest liar of all…. Hayama is also a very interesting character… In season 2 it is also shown how hes actually not the perfect, nice guy… How everyone here is human…. How he is actually burdened with the expectations of so many people and how it pains him that he cant stay true to himself…. oh my God…forgettable? until now since season 2 ended…I still can’t actually move on! When it comes to the development between Hachiman and Hayato, Hachiman is slowly developing into Hayato’s role vice versa. Hayato starts distancing himself more and stopped being the nice guy. On the other hand, Hachiman is slowly being seen with more and more colleagues and friends. In the end Hachiman and Hayato have flipped roles, although it may not be as drastic as you would think. I think Hachiman’s character isn’t wrong in 2nd season. Can’t you see Hachiman’s change in last 3 episodes in first season and the first 2 episodes in season 2? His change’s reason is starting club give a value. The club is a place that hachiman can finally live the human relationship. But there were big problems in their characters then relationships just getting fake so they started searching the “real”. This is the summary of whole two seasons. And you can be sure hachimans character is continuing to change in every episode from this anime. Hachiman is the most realistic anime character ever that i suspect if the story insipires from real life. Just my opinion, but I think Hayato was made that way in the 2nd season to show that no matter how perfect someone may be or seem, they are still human, and humans all have negative feelings and beliefs, like how Hayato felt about Tobe and his rushed confession. He also played the villian because of his past experience with Yukino, in which he makes a poor decision and destroys it. Hayama probably doesn’t want that to happen again. Hoe you didn’t even need to make a 23 minute video. All you needed to do was show a picture of 8 man and people would understand. Also, notice how you didn’t like the 1st season until it was complimented by the 2nd, so let’s hope the 3rd season brings out the best of 2nd one. Haha. I like how you reviewed this anime honestly. 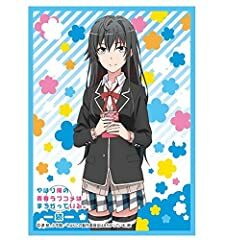 [Spoiler] For every Oregairu fans, if you think Yahari is so complex, this blog will help you understand hidden feelings & thoughts of characters or even in-depth story. ps. prepare your mind before proceed. I kindly disagree with your statement that the second season has become subject to the tropes it was criticising, such as love triangles. 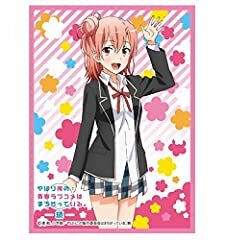 I’d say that was to the better as the second season directly addresses the realistic problems of a love triangle – its instability and how it affects the members of it emotionally. I enjoyed both, but I definitely preferred the second season. I enjoyed that the characters are more realistic than normal and that the second season takes attention away from some of the more ridiculous ones. I love that Hikigaya isn’t a good guy who is misunderstood, but a realistic loner, which makes him pretty unique as a protagonist. He has pretty opinionated views that are convincing, but they are flawed and the show does point that out during the second season. People who think that Hachiman’s views are completely true and love him for it or think that his views are wrong and hate him for it don’t seem to realize that the show itself criticizes his ideology. 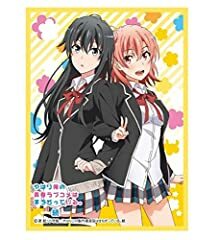 I loved this series a lot but the ending of the second season just ended on the most frustrating endings because the story arc abut their relationship and how the club was going to survive was just cut off right before hachimans answer right as he was about to say it. Other than the ending i preferred the second season. What hooked me about this anime was the fact that I could very entertainingly and (sometimes) painfully relate to Hikky, I used to be kind of like him and for that reason it wasn’t so much the quality got me but rather it kind of inflicted an existential crisis and made think and relate, hell it even made me a better person to some degree. The one thing i don’t understand is what yukinon’s problems are. Is it her inability to speak her mind? is it that she has no back bone to stand up to her family? the yukinon from the first season would have tackled these problems head on, but suddenly in the second season she can’t even be herself. Was the yukinon from the first season really a representation of herself or her imitating her sister? Im so confused and would like someone to explain. S2 E12 ending was so confusing..